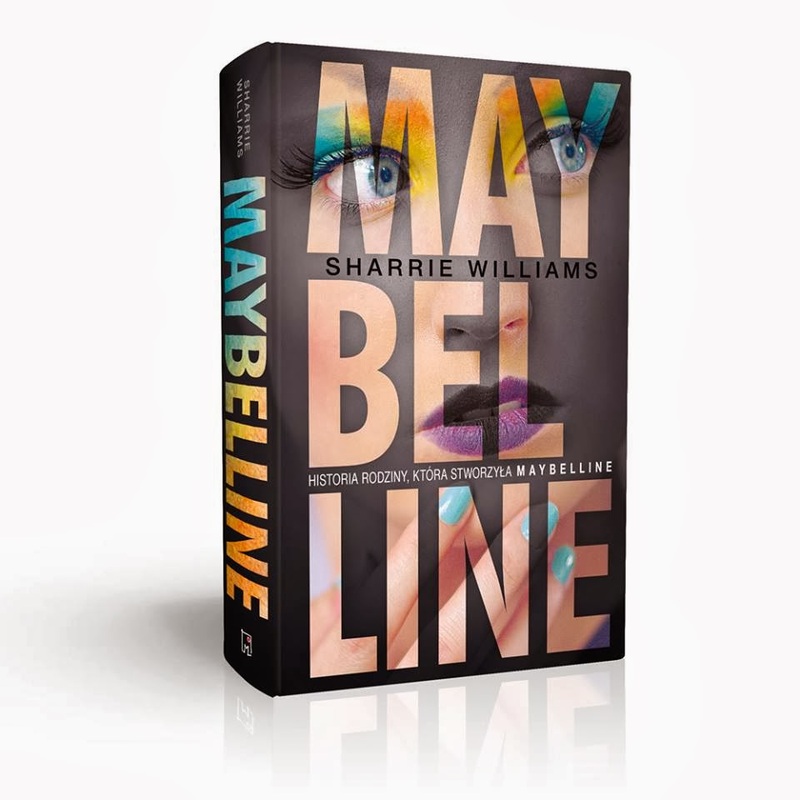 THE MAYBELLINE STORY : Mabel Williams will forever be MAYBELLINE! 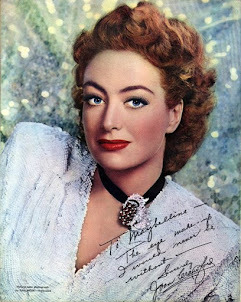 Mabel Williams will forever be MAYBELLINE! 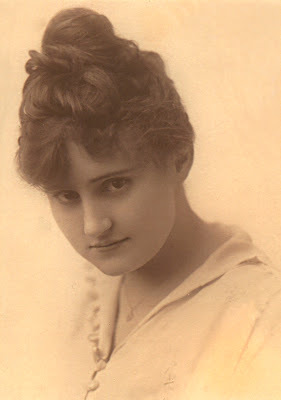 Here is a picture bio of Mabel Williams the inspiration for the Maybelline Company. Why did Mabel mix that burnt cork with the Vaseline? I grew up hearing the story from my grandmother and father. They said she had very pale brows and lashes and wanted to darken them, so concocted a mixture of ash and Vaseline to make them appear darker. Another story came from Mabel's sister Eva, who said she accidentally singed her lashes and brows while cooking over the stove. Yet another story floated around the family saying Mabel had some kind of disease that made her brows and lashes fall out. 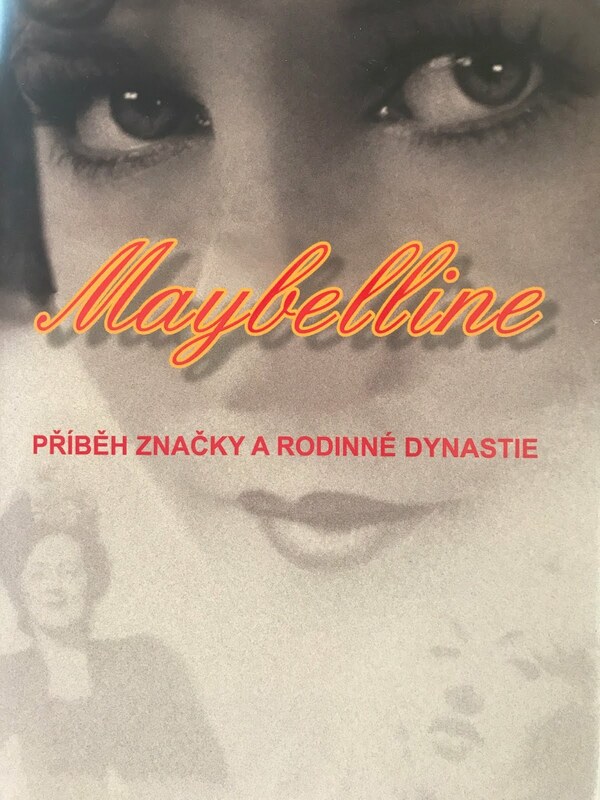 I chose the singed brows and lashes version for my book, The Maybelline Story, only to be corrected after the book came out by Mabel's two daughters, Shirley and Joyce. They say their mother accidentally bleached her brows. "Using what I thought - I can't imagine - Peroxide? - Why!" But no matter why it happened really doesn't matter, what matters is - she mixed the ash from a burnt cork with Vaseline and the result was a product that has stood the test of time for nearly 100 years - Maybelline. 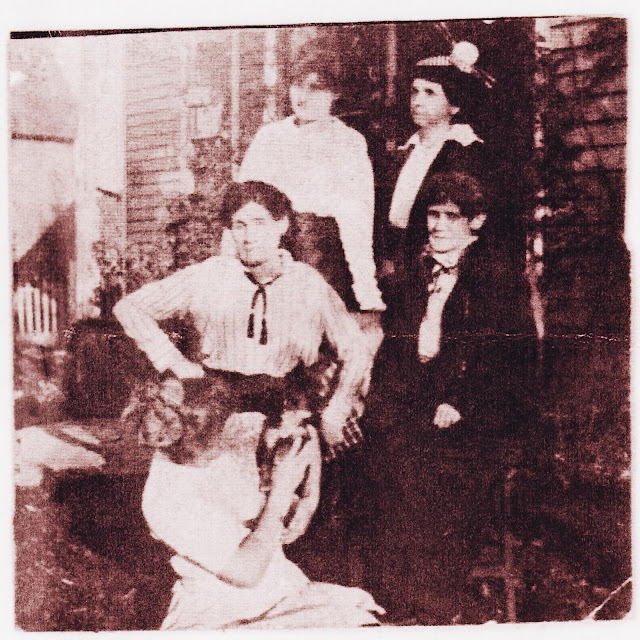 22 year old Mabel was her mothers right hand and devoted in every way to her family and as you can see in this picture taken in 1914, before Maybelline was even a twinkle in her brother Tom Lyle's eye. Mabel favored her mother in appearance and was actually quite beautiful, considering the time, living on a farm and having sew her own clothes. Mabel was always fashionable, smart, elegant and had that sweet Southern Bell way about her. She was an old fashioned girl at heart and only wanted one thing - a devoted husband and a family of her own. But for now fate had other plans in store and marriage wasn't going to happen for another twelve years. 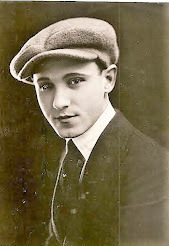 By 1917 the Williams family had moved off the farm and into an apartment above the Maybelline warehouse where they helped Tom Lyle with his little mail order business called Maybelline. 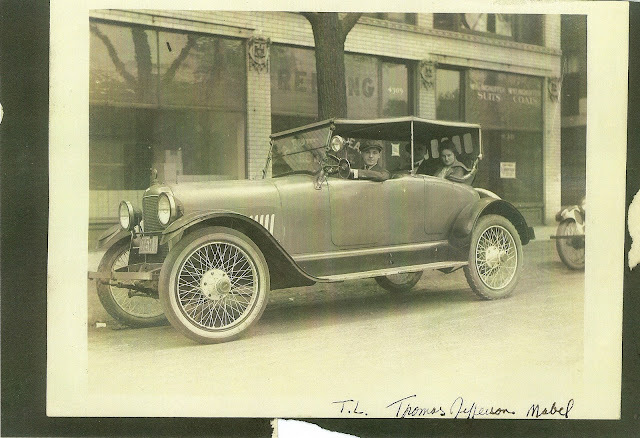 In this picture Tom Lyle had just bought his first car, called a "Page, The Most Beautiful Car in America," and parked it in front of the Maybelline warehouse. He is at the wheel with Mabel and TJ their father in the back seat. 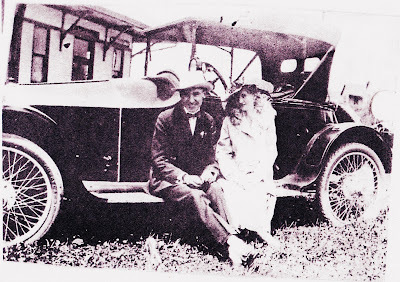 Here is a picture of Mabel with her brother Noel sitting on the running board of Noel's new automobile. 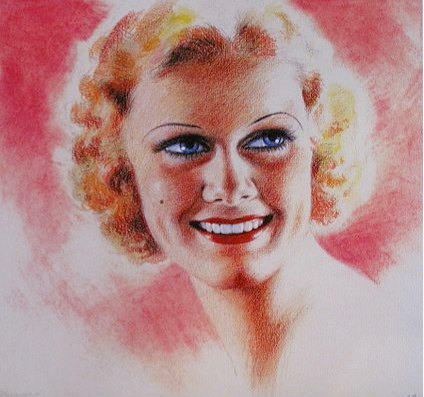 Mabel was now 25, living in Chicago and the namesake for the Maybelline company. 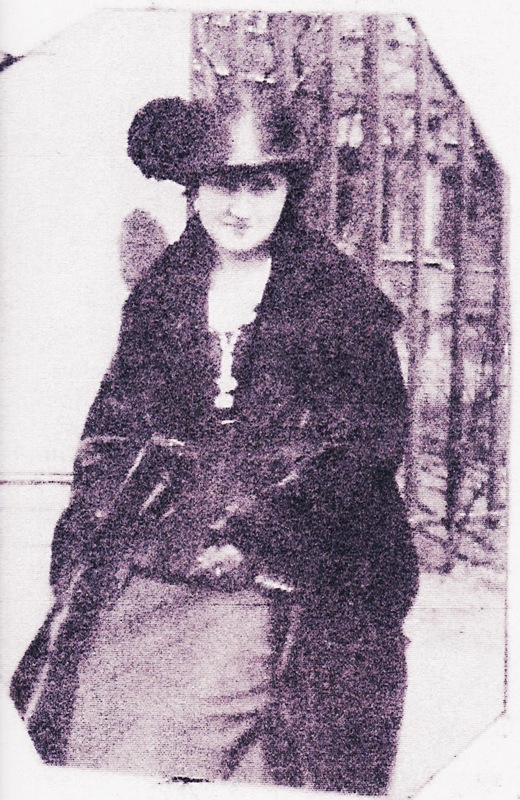 She loved beautiful clothes and hats and became a woman of impeccable style and glamour. 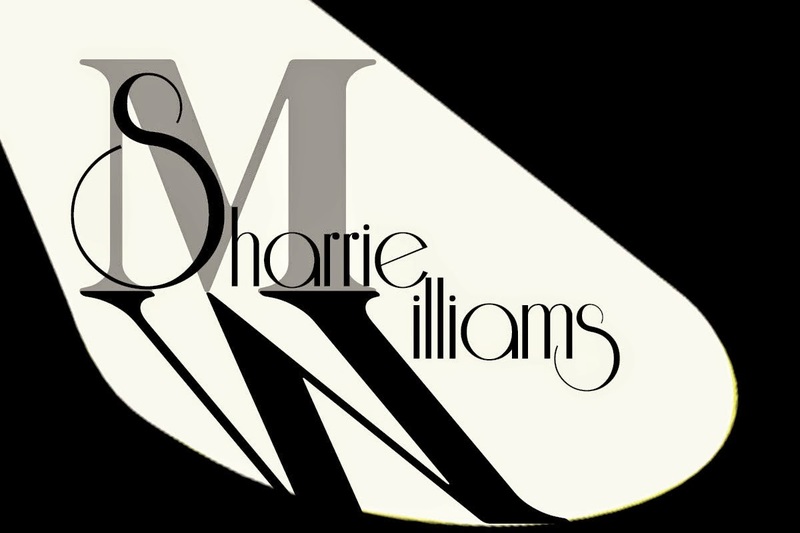 She - like the rest of the Williams family - worked for Tom Lyle, loved silent films, Photoplay magazine and kept up with the fashion of the day. OH! and of course wore Maybelline on her lashes and brows. 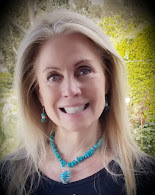 Still true love escaped her, but she like her brother Tom Lyle, she was determined to make her dream come true and find the perfect mate. In 1919 Susan Williams, Mabel's mother died of the "Great Flu" and once again Mabel stepped in to fill the role of matriarch. She cared for her father until his death in 1935 and was ever devoted to Tom Lyle, Maybelline and her entire tribe as she called them. 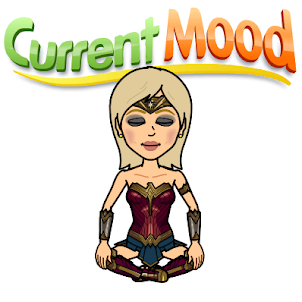 Now at 27 she questioned her dream of finding true love and worried she might be a caretaker or worse have to join the convent. By 1924 her little sister Eva was married to Ches Haines, My grandfather Preston married my grandmother Evelyn and had my father Bill, Noel married Frances and had two daughters but Mabel continued to care for her father and help Tom Lyle with the Maybelline Company. 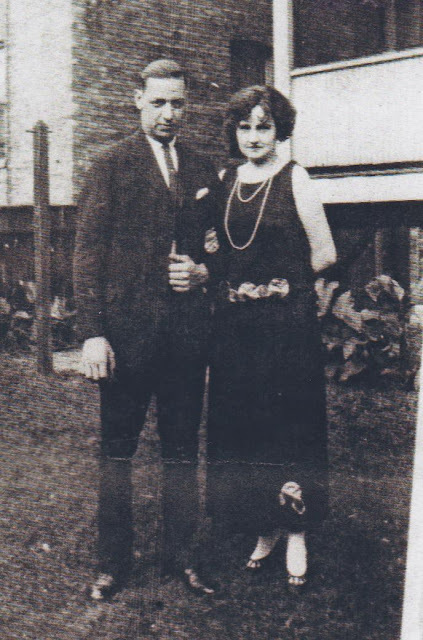 Finally one day in church Mabel met Chet Hewes and on her 34th Birthday she and Chet were married! Sweet Mabel knew she'd found her one true love and soon they had three beautiful Children and lived a quiet life for nearly 50 wonderful years. Mabel remained devoted to her brothers and and sisters, their children and grandchildren through out her long life and was for ever called Auntie Mabel by all who loved and adored her. Here is a picture of Auntie Mabel with her sister Eva's husband Ches, isn't she glamouus after almost ten years after she and Chet married. Uncle Chet worked for the Maybelline Company until the day Tom Lyle sold it in 1968 and ran the the department that manufactured Maybelline mascara. Mabel and Chet remained a humble, understated family-oriented couple for the rest of their lives and though they suffered terrible losses never gave up their faith in God. The little idea Mabel had for darkening her lashes and brows is still the largest cosmetic company in the world and represents the quality, purity and beauty that Mabel herself stood for. 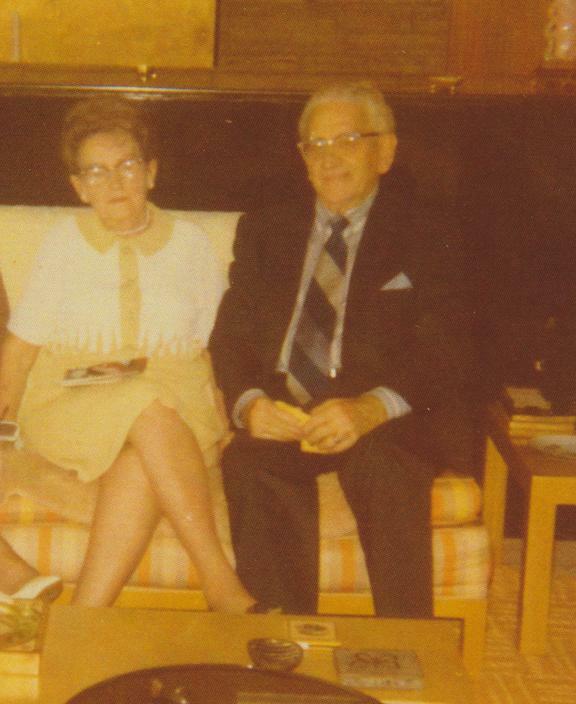 Here is the last picture I have of auntie Mabel and uncle Chet taken in August 1973 at my great uncle Tom Lyle's home in Bel Air California. She was 81 and passed away the next year. Losing auntie Mable was the end of an era and broke everyone's heart. There will never be a lady quite like Mabel - and her beautiful Maybelline eyes will remain in our hearts forever. She inspired a product that changed the face of women everywhere and is still working it's magic today. Mabel will forever be MAYBELLINE! Why Tom Lyle sold the Company? Have you a Mabel's photo where can see her eyes with own mask? 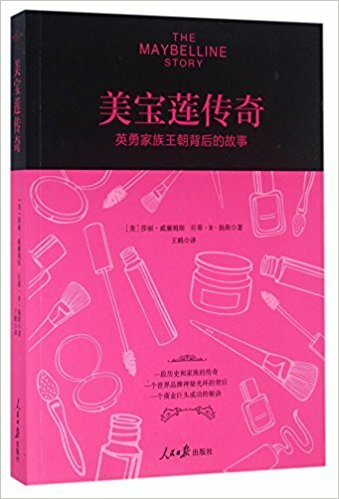 Hi Egna, You must read my book The Maybelline Story. 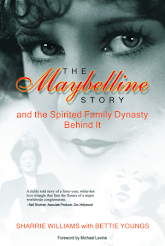 It tells the whole story of Mabel and her part in the Maybelline company. You will love it. Her name was Mabel...then why did he name the company as Maybelline...I cant seem to see why the 'Y' came into the picture. Hello everyone. . .I'm George Leonard Temple granddaughter, Gloria Jean Ballard Callahan and Frank Williams my great grandfather. Ruth Ince and her sister Cyrene brought my grandma Mary Maybeline in the copper canister. 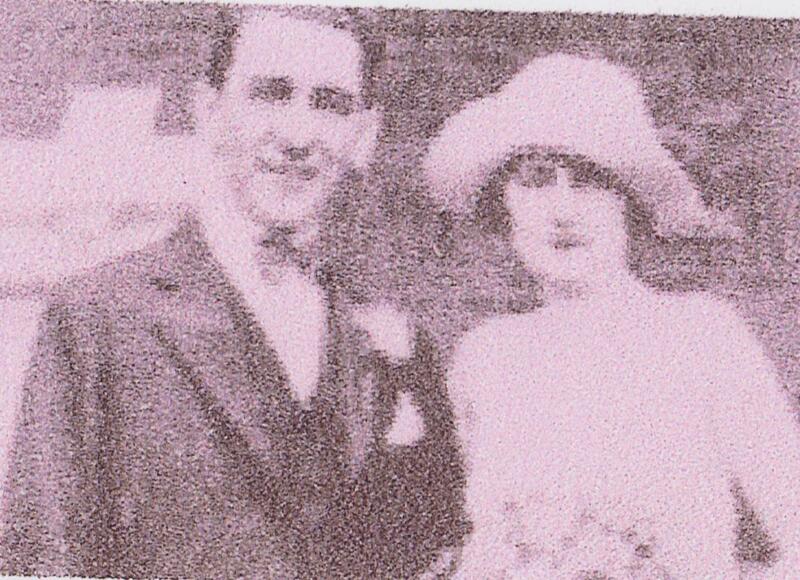 Tom really loved Mabel his sister to honor her by naming his company in her name. I was age 4 living in Gerber, California with grandma Mary when Cyrene smiled as she put lipstick on me. 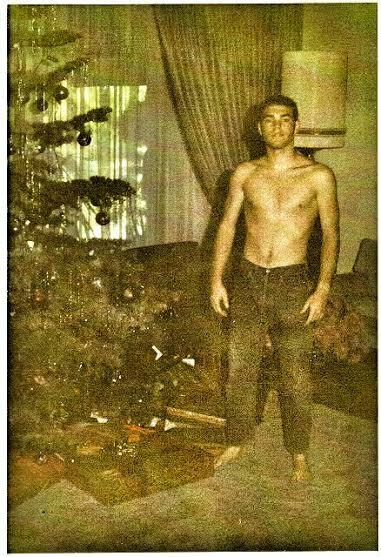 Now at age 47 the memory remains In my heart. Breast Cancer I've been fighting since 2007. Thank you for letting me text you. Gloria, I'd like to know about your family history and how it fits in with mine. To to my contact and email me.